Folake should write her own autobiography. I will buy her book. I will love to read it. It will inspire many youths in Nigeria. Some interviews simply stay with you and forever remain classic. Long after, they play back nostalgically in the recesses of your memory. 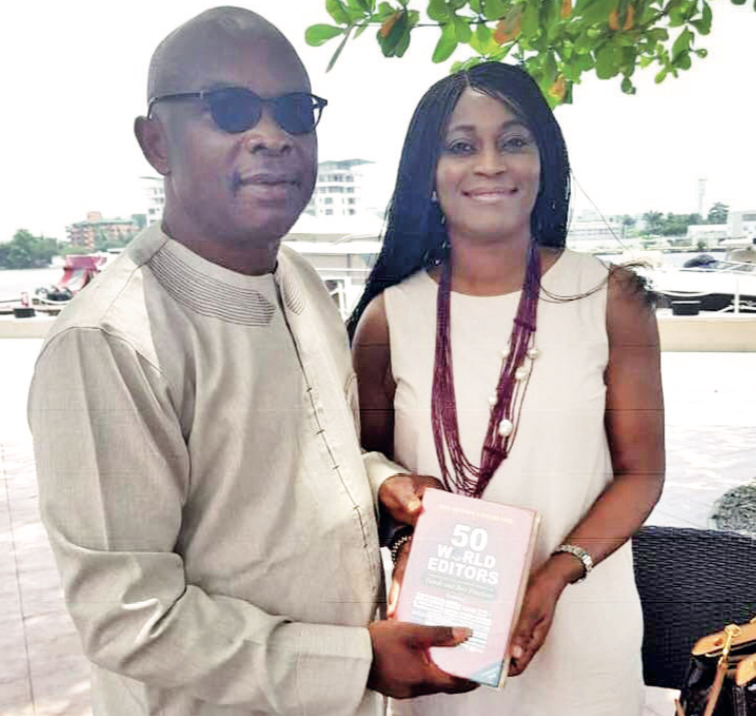 One of such classics is my interview with Mrs. Folake Ani-Mumuney, the Marketing and corporate communications guru and diva who turned 50 recently and jointly celebrated it with her “twin” bosom friend. I met her October 6, last year, while I was conducting series of high-profile interviews with those who should know, for a forthcoming motivational business management and leadership book: HOW TO THINK LIKE DANGOTE. When you have somebody like Folake Ani-Mumuney who easily buys into what you are doing and goes on to describe it as “a rich tapestry that should be captured”, it sounds like the sweetest music in the ears. “He is one man who has woven into the entire fabric of the Nigerian society,” she says of the subject. But this is not a Dangote interview. You will have to wait for the book any time it is ready. Picture her sitting with me for the interview at the Lagos Motor Boat Club, backing the serene Lagos lagoon where the yachts of the rich and famous are moored, bobbing up and down, struggling to be free, in the solitude of their watery open prison. Listen to the sounds of the angry waves and winds thundering, blowing strongly and demonically as she talks, sometimes trumping her voice and my tape recorder like Donald Trump. Here is the lady who made waves in the UK, working as the first black woman in a top management position in the British Airways, charged with marketing functions in Europe and Africa. One of the innovations she initiated was online ticketing and online checking. For her sake, Europe and Africa were merged and put under her dominion because of her expressed interest and love for Africa. She was even brought to Nigeria as an expatriate in charge of British Airways’ West Africa market. Hey, what I think is that Folake should write her own autobiography. I will buy her book. I will love to read it. It will inspire many youths in Nigeria. In the autobiography or memoirs, you will find the story of a precocious girl who started school at age three or so. After playing her part in rebranding the Dangote Group, she made her move to join FirstBank as the head of marketing and corporate communications. The rest of the story would have to be told by Folake Ani-Mumuney in her book, if she ever writes. Meanwhile, I wish the first female ADVAN President happy 50th birthday, long life, good health and more accolades in the corporate world. Men, what are you bringing into marriage?